4 Beds 3 Baths 1 Partial Bath 2,878 Sq. ft. Elegant and spacious 4 bedroom, 2.5 bath home located in the popular Parker Place community with 2,800 square feet of living space! 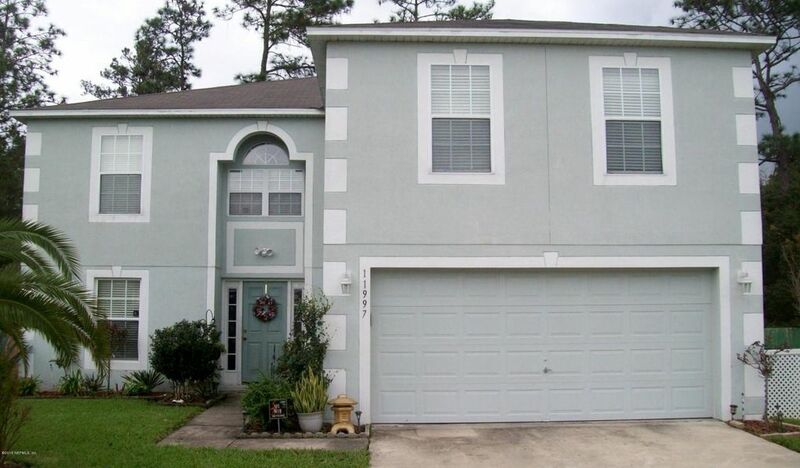 This two story home features a separate living room and dining room with carpet and tile throughout, an open kitchen and breakfast nook overlooking large family room, sliding glass doors lead to a private patio, a half bath and laundry all on the 1st floor. The large master suite has 2 walk-in closets, garden tub, double vanities and a separate shower stall. Outside features a full stucco exterior, & 2 car garage. There's easy access to major Interstate highways, airport and River City Shopping Center. Directions: I-295 North To Dunn Ave. Left On Dunn Ave., Left On Duval Rd., Right To Mission Creek Drive, Right On Mission Creek Lane, Left On Austin Creek Drive, Right On Chester Creek Road. Home Is On The Left.